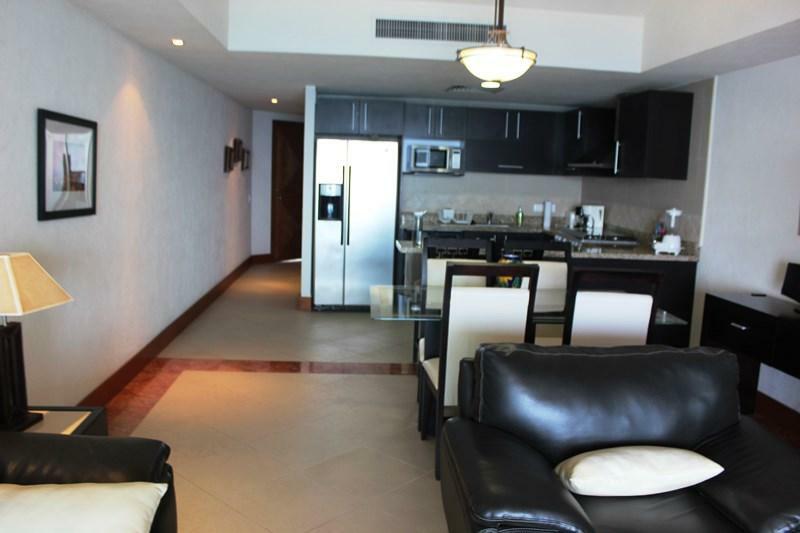 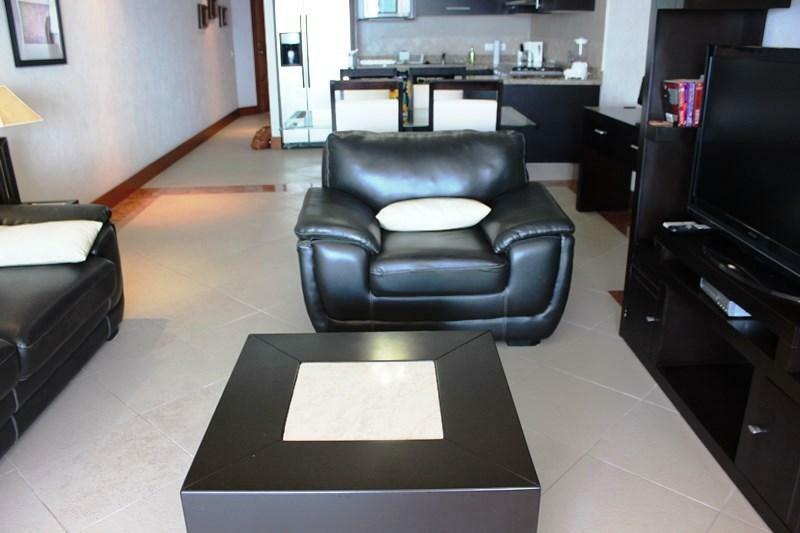 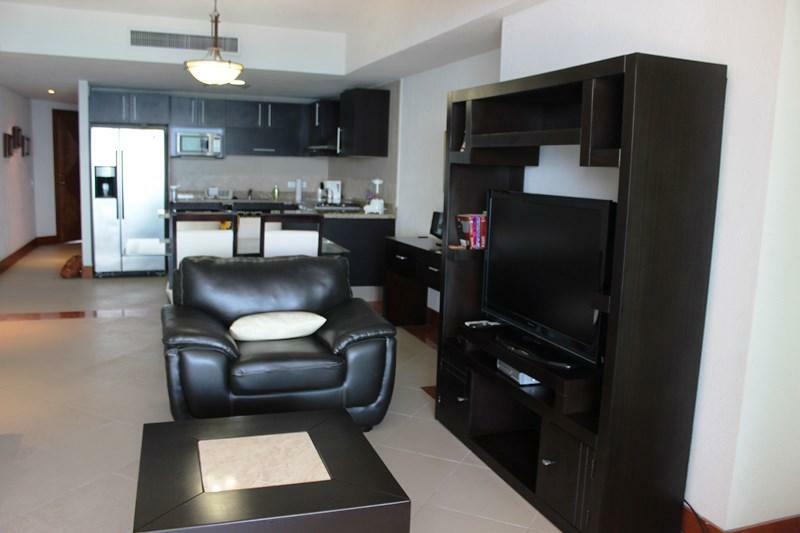 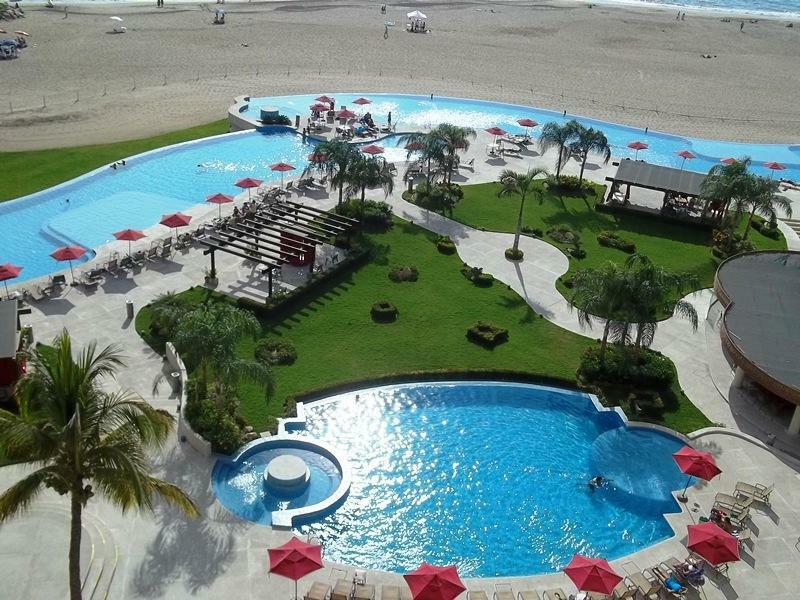 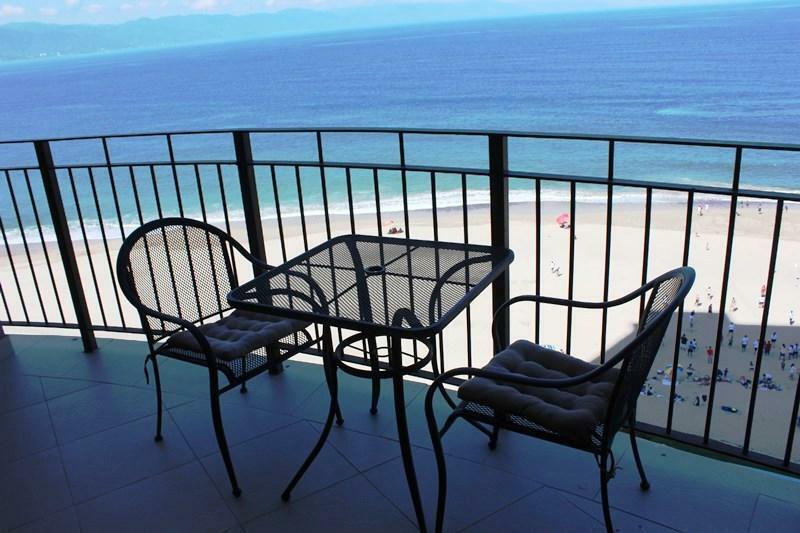 This is a 1 bedroom 1 bathroom beach front condo with a full kitchen. 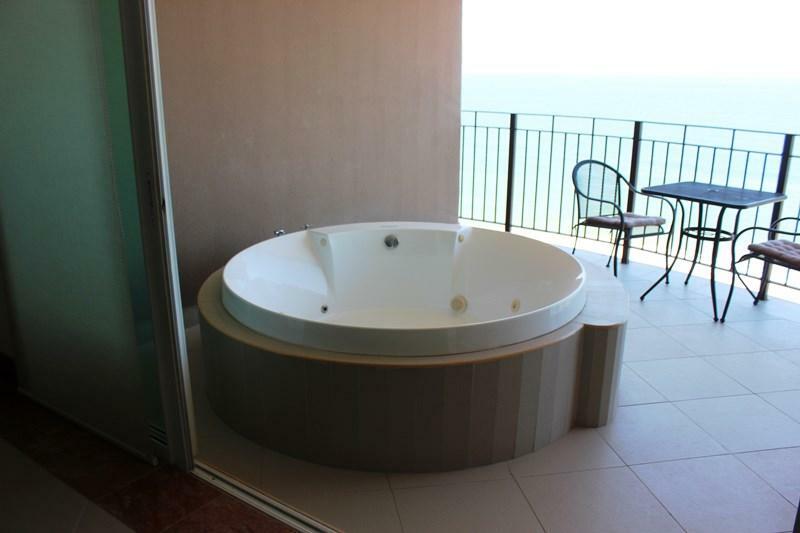 The master bedroom at this condo is completely equipped with a queen size bed, an en-suite bath. 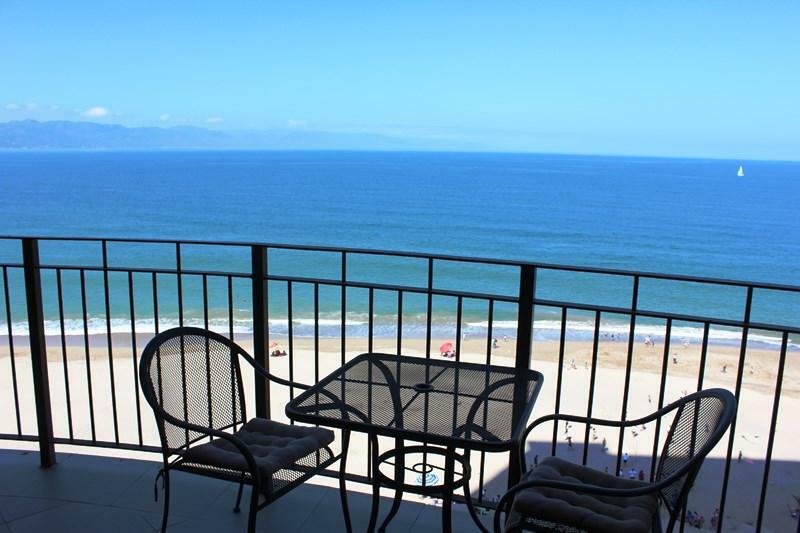 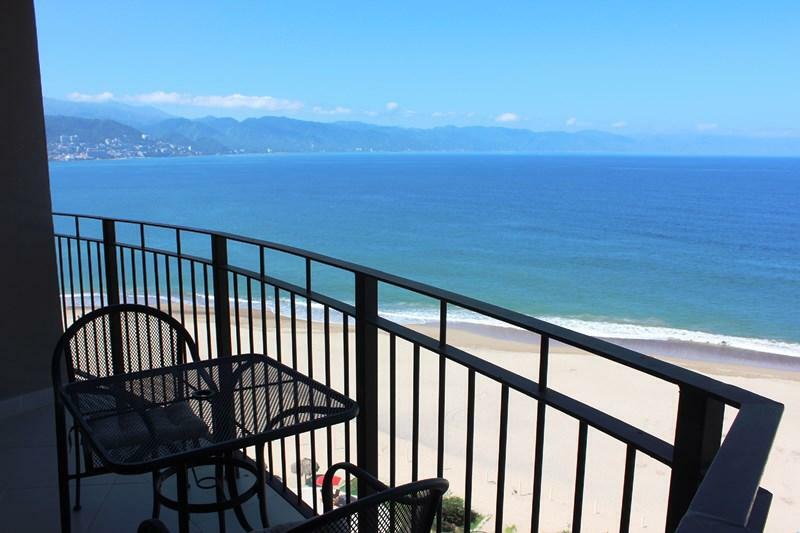 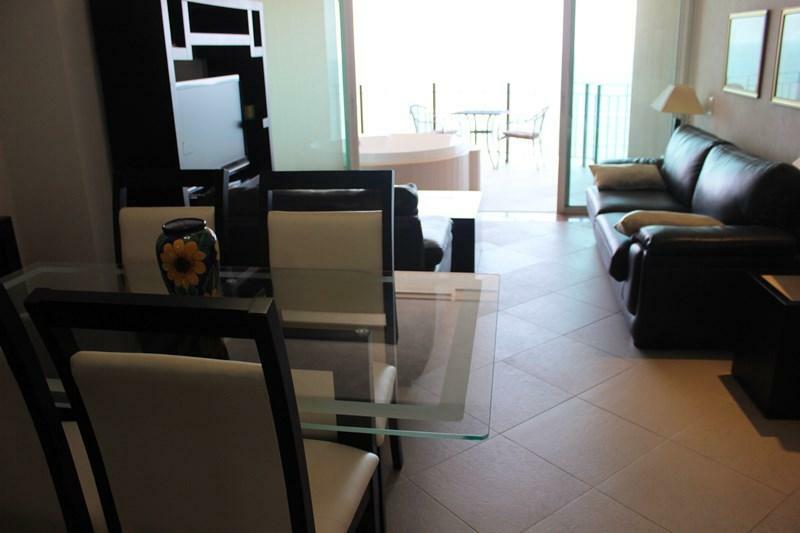 There is a balcony off the living room where you can enjoy the stunning Puerto Vallarta city views. 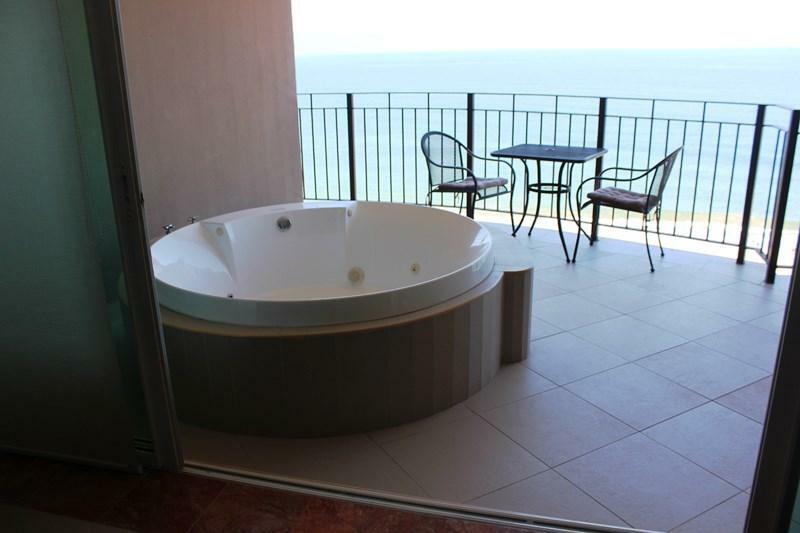 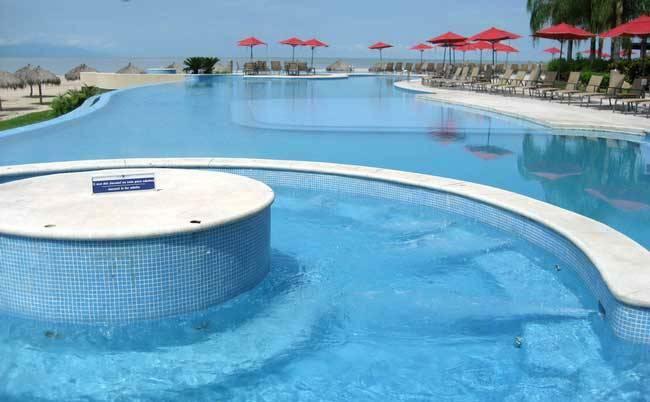 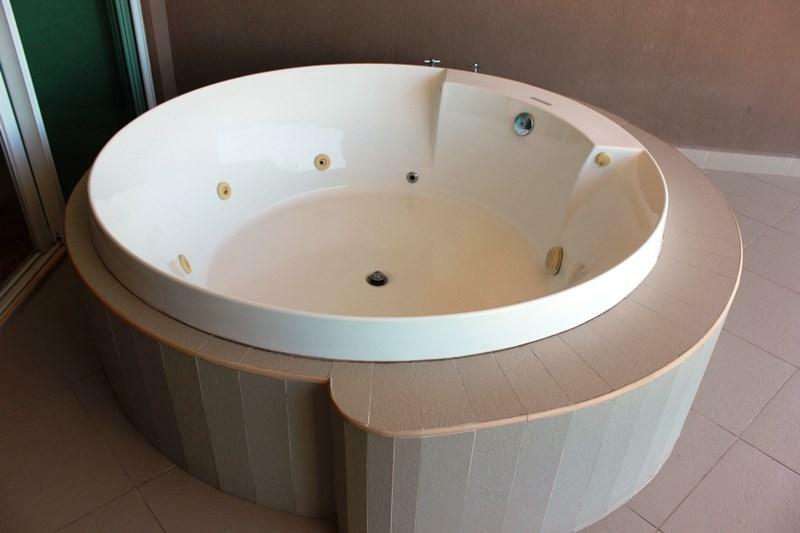 There is a Jacuzzis on the balcony for those romantic nights gazing at the stars sitting in your very own Jacuzzi. 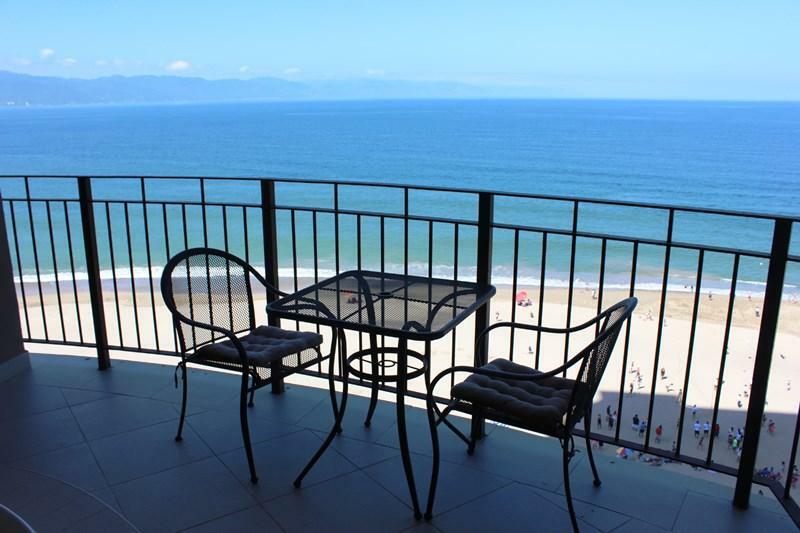 Grand Venetian 804 has a spectacular Ocean Pacific views, over 600 feet of beachfront privately accessed and 1,200 feet of riverbank. 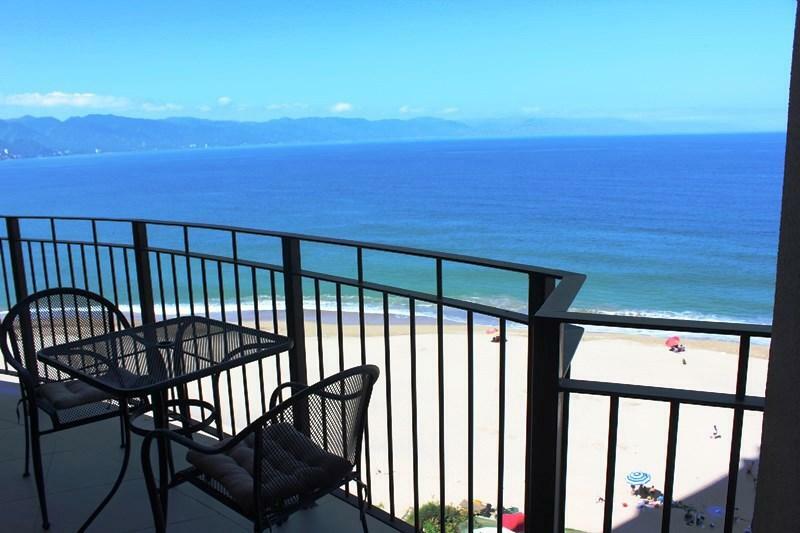 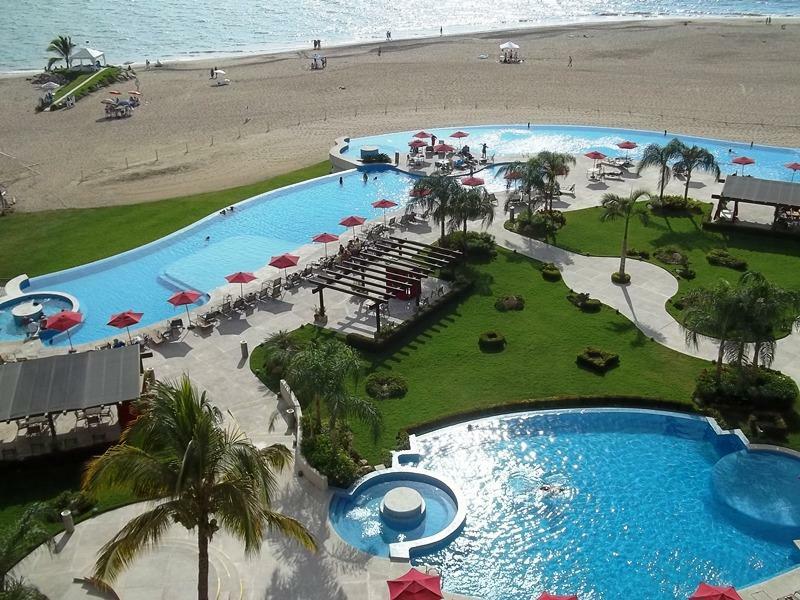 Not only will you enjoy glorious views of the ocean, but you'll be close to downtown and all the top Puerto Vallarta attractions - like golf and shopping. 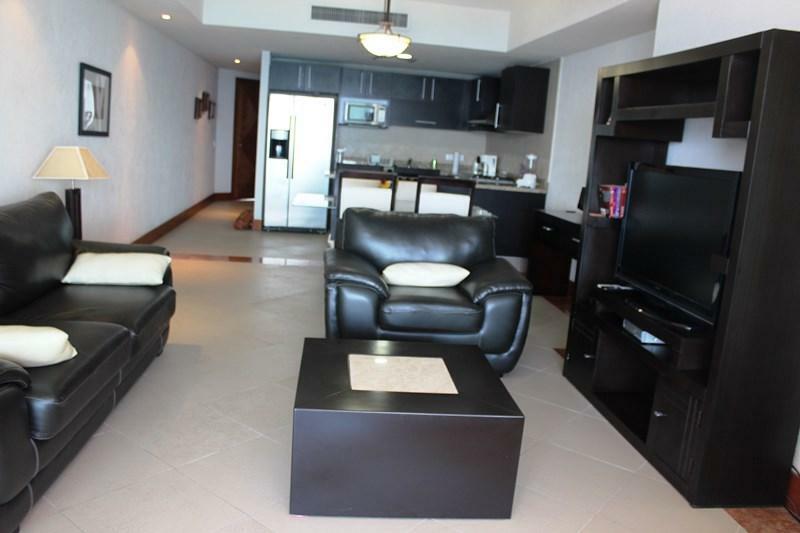 Best of all, your private Grand Venetian condo will have all the features and upgrades that will make you never want to leave. 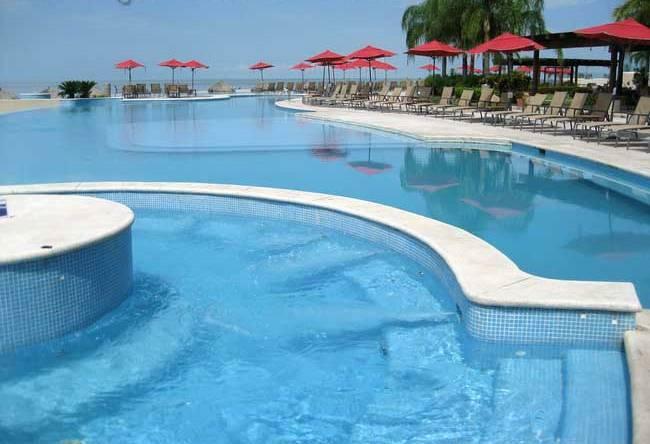 Grand Venetian was built in 2009! 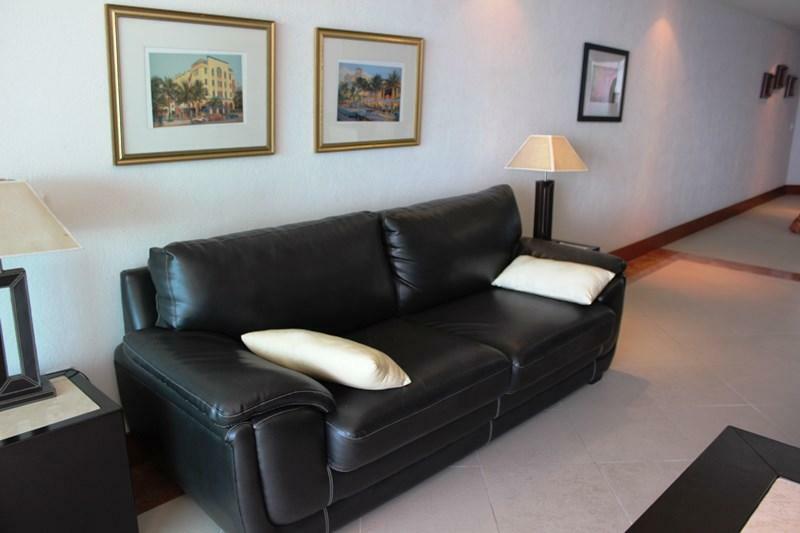 Our condominium is on the 8th floor. 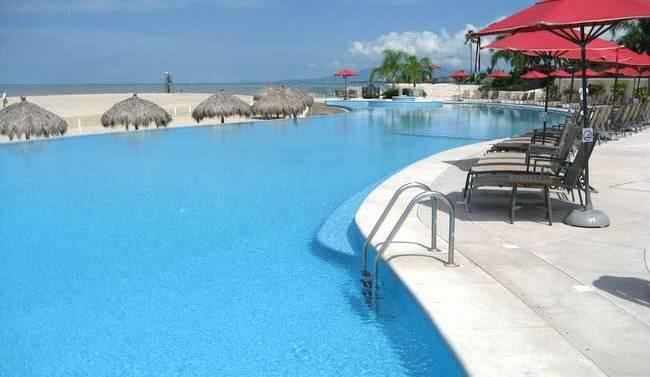 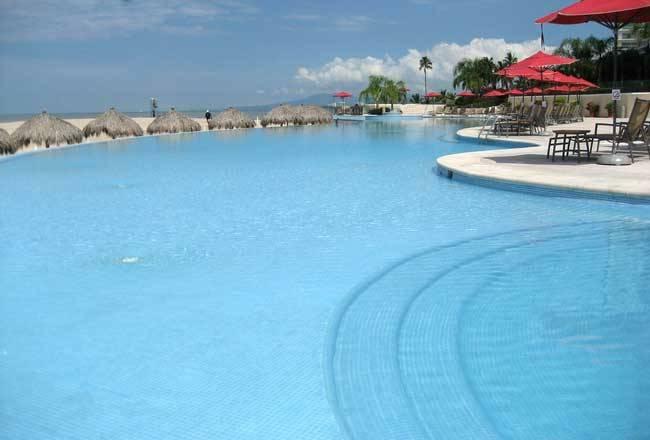 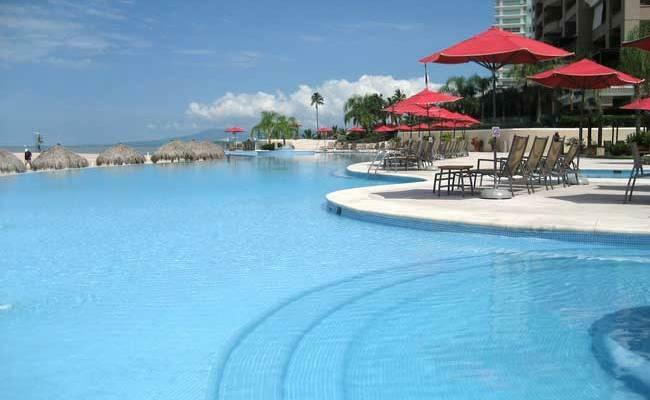 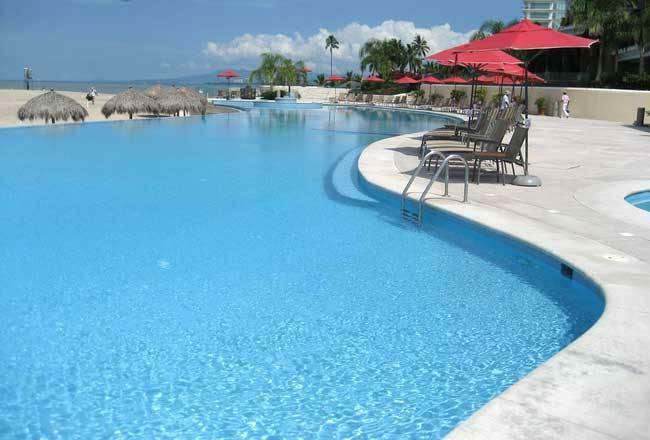 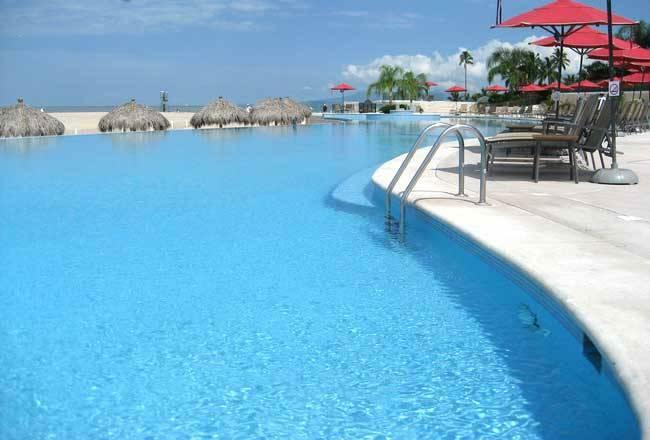 GRAND VENETIAN is a luxury condominium complex located a few blocks from shopping and the marina. 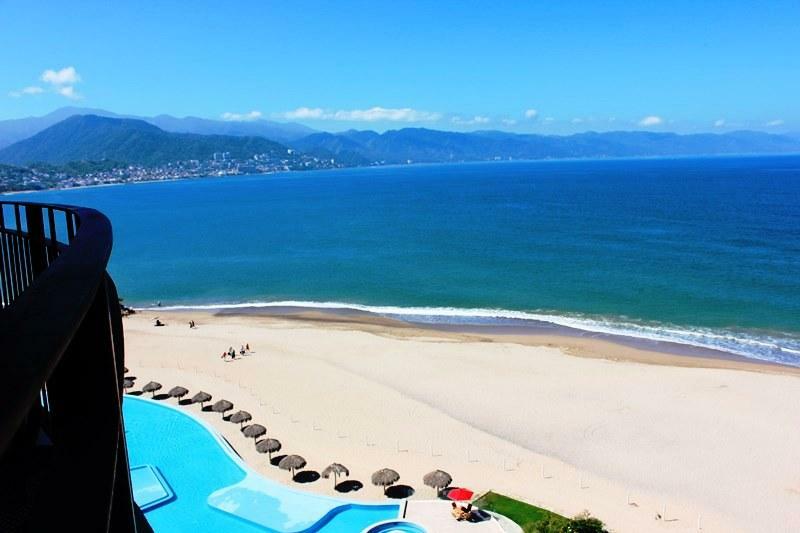 200 yards of beachfront will captivate your senses with splendid amenities such as, The Venetian's Gardens & Fountain Lakes, World class spa & gym, Infinity pools & Jacuzzis with Snack Bars that will delight your oceanfront view of the Pacific Ocean. 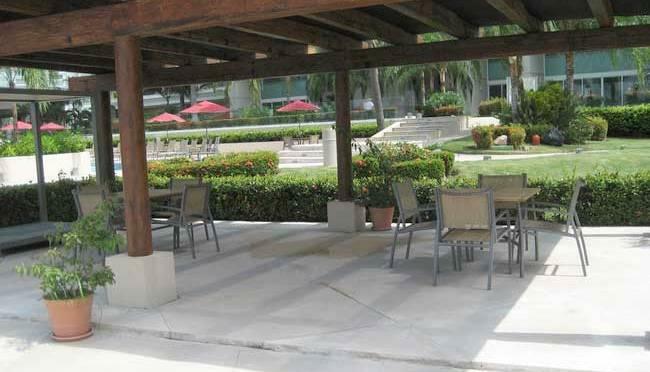 An underground parking garage is available below the building. 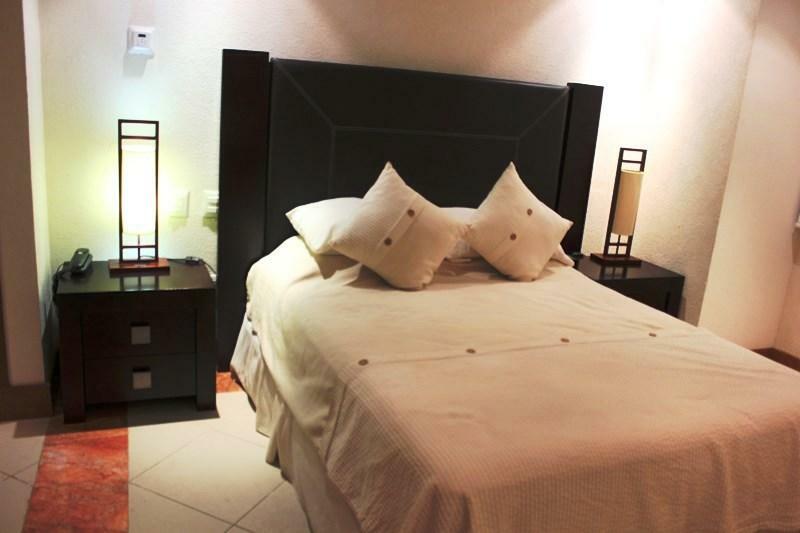 The entrance is monitored 24 hours a day for guest privacy. 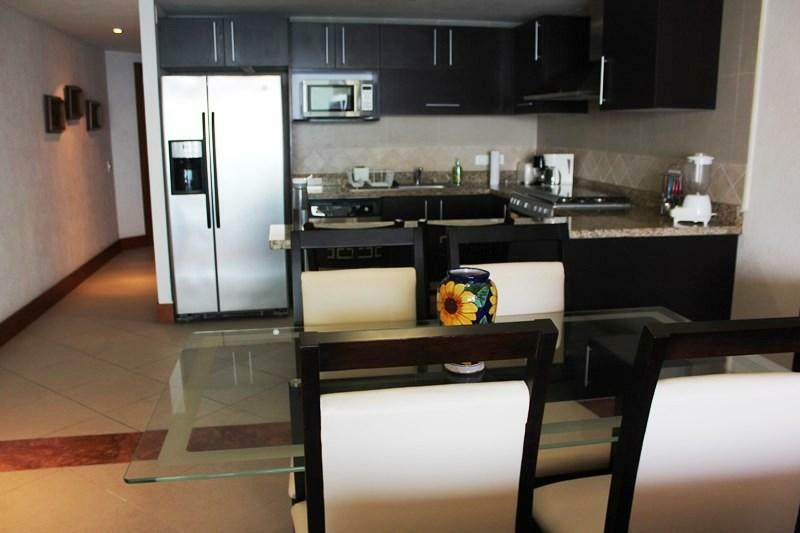 The condo has a kitchen, stove, oven, and refrigerator. 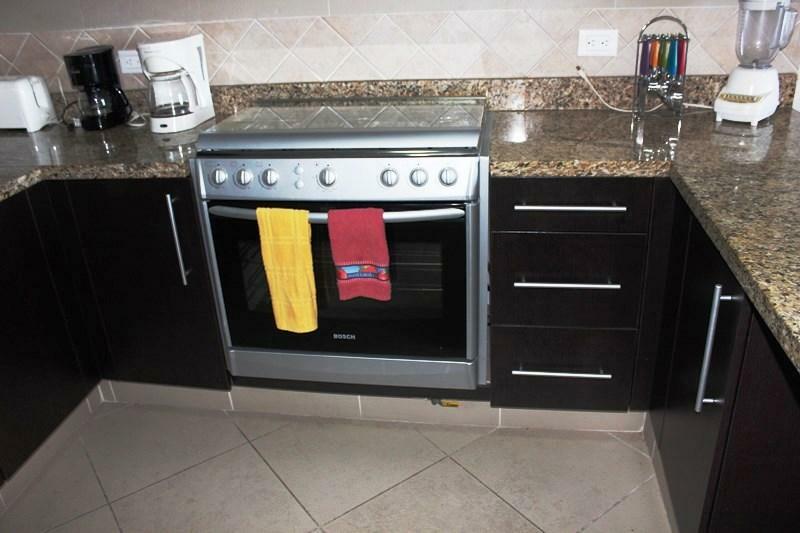 Fully equipped kitchen with dishes, silverware, pots & pans, coffee maker, and toaster. 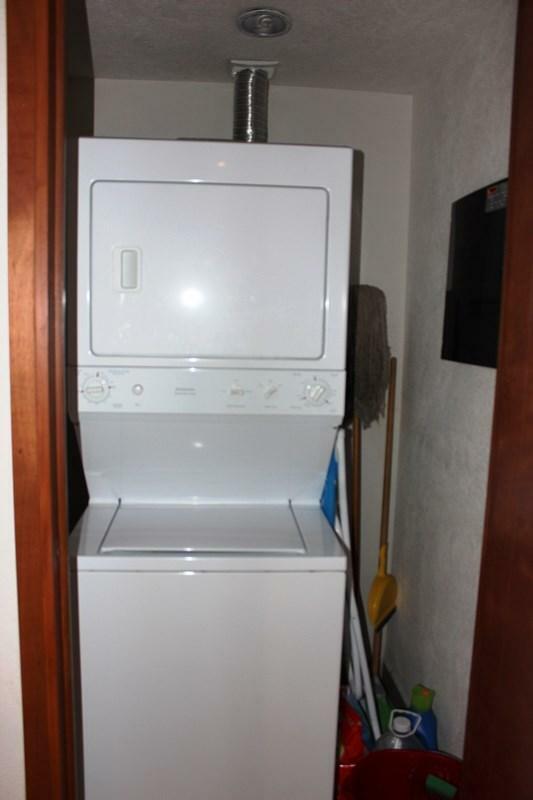 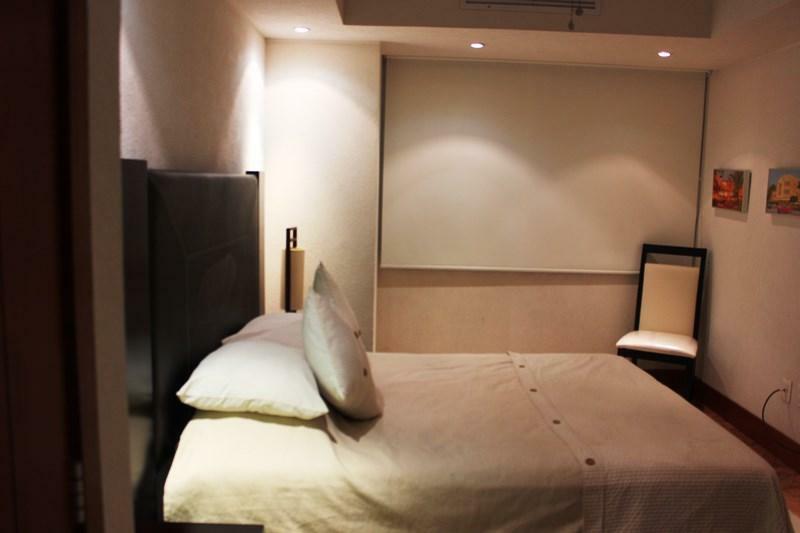 Other features at this luxurious rental condo include Jacuzzi, air conditioning, cable TV, DVD player, phone for local calls, safe, iron and ironing board, sheets and towels.